This provocative headline was on a Washington Post article a few months ago that featured two women physicians at the Mayo Clinic who had noticed that their male colleagues were usually introduced at conferences as “Doctor So-and-so.” But the two women and other female doctors were often introduced by their first names, when the person introducing them was a man. Is this a big deal? Yes. I believe it is. How people address you and what you call yourself really do matter. Names – and titles – have power. Names and titles may confer dignity, or take it away. They influence how you are perceived, and whether people take you seriously. Though unequal introductions may not be on the same level as eliminating sexual harassment or the gender pay-gap, it is a communication concern with negative implications for women. Denying professionals the prestige that a title conveys is a subtle way of undermining them. Whom would you take more seriously, or believe was more competent: “Dr. Tom Jones” or “Sally Smith”? It seems obvious that it would be the person with the title, because that testifies to his training and professionalism. Both men and women can benefit from the following suggestions about names and titles. They will help you to stop negatively influencing others’ perception of women, even inadvertently. These tips also apply when you are writing emails. 1. Use a woman’s title. Some organizations are very informal with names, but if professional titles are typically used in your organization, refer to women by theirs, such as Dr. (Sally) Jones. 2. Be consistent with your use of titles. 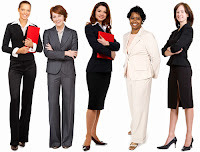 Use professional titles equally for both men and women. If you are mentioning a man by his title, such as Doctor Jones or Professor Smith, refer to a woman the same way. This is valid whether you are giving a speaker introduction, introducing someone to other people at the office or in social situations, or simply mentioning people in informal discussions. 5. Refer to women in the workplace as ‘women.’ Businessmen aren’t referred to as boys; businesswomen shouldn’t be referred to as girls. The words “girls” and “boys” indicate children. I know, I know, you are going to say that it’s intended as a compliment, or it’s a way of expressing camaraderie, as in “girls’ night out” or “the girls I work with in the office.” But ultimately it fosters a less-professional image for women. Men also can be influenced by shortened names. According to a story about basketball legend Michael Jordan on the CBS show 60 Minutes a few years ago, he went from being called “Mike Jordan” to “Michael Jordan” after he scored the winning basket in the 1982 NCAA championship game. Start paying attention to your word choices. Though you may not be doing everything mentioned here, you may be surprised at how you refer to women. Additional information on communication can be found in my new book, The Communication Clinic: 99 Proven Cures for the Most Common Business Mistakes.